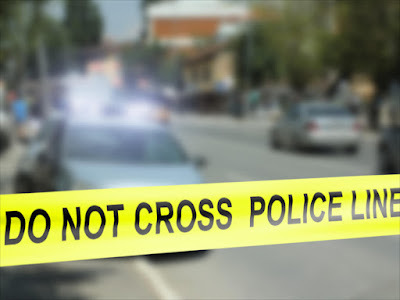 A 25-year-old man, Ajibade Olumuyiwa, has reportedly killed his wife’s suspected lover, Olakiitan Balogun, after catching him on their matrimonial bed with his wife. Ajibade was said to have caught his wife, Titilayo, and her alleged lover around 12.30am on Sunday, and reportedly hit his head against the wall. The incident occurred at the Doland Estate, Ajuwon, in the Ifo Local Government Area of Ogun State. The Police Public Relations Officer in the state, Abimbola Oyeyemi, made the disclosure in a statement made available to journalists in Abeokuta on Wednesday. Oyeyemi said the suspect was arrested by men of the state police command for allegedly killing his wife’s suspected lover. He allegedly killed Balogun for having an amorous relationship with his wife. 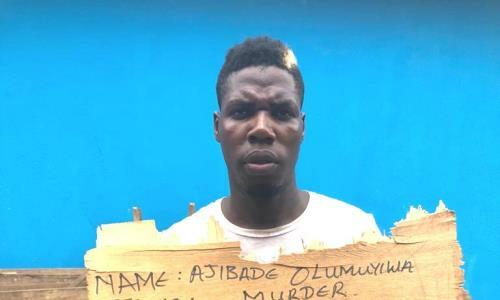 According to Oyeyemi, the suspect was arrested around 1.45am on Sunday following a distress call by a resident of the estate to the Divisional Police Officer, Ajuwon Division, CSP Afolabi Kazeem. The PPRO stated, “A distress call was received that a man had murdered his wife’s concubine inside his house. On receipt of the distress call, the DPO, CSP Afolabi Kazeem, led his detectives to the scene, where the suspect was promptly arrested. “On interrogation, the husband explained that he came into his house around 12.30am on the fateful day and met the deceased right inside the room with his wife. Oyeyemi explained that the estranged wife denied having any amorous relationship with the man. During interrogation, Titilayo reportedly explained that the suspect had abandoned her in the house for eight months. She further accused her husband of giving an instruction to their gateman to be monitoring her and supply him with information if he saw her with any other man. Oyeyemi stated, “She stated further that the victim was a cobbler leaving in the area and on that day, the deceased’s girlfriend came to pay him a visit and since he was not living alone, he decided to bring the lady to a room in the Ajibade’s house due to his closeness to the family. The corpse of the deceased had been deposited in the general hospital mortuary for post-mortem.